Third party call center QA (quality assurance) teams are constantly being utilized by companies across the country in order to improve upon their customer service experience. This is due to the fact that the tools provided by these third party companies provide insightful information that can help solve problems that many business owners face. After all, the customer is the most important part to the stability of a business. Without them, you wouldn’t be able to make a living. That’s why many businesses in the Scottsdale and Phoenix, Arizona area have decided to look into these quality assurance services. There are many benefits to third party call center QA teams. Firstly, they will help you pinpoint various deficiencies and proficiencies in your employee’s performance. Using both call recordings and scoring, a third party QA member can help you identify certain trends in an employee’s performance. For example, you may have an employee that struggles in certain situations, such as dealing with a customer that demands a refund. The scoring criteria for this aspect of customer interaction will be below the acceptable threshold, alarming you of the issue. From there, you can retrieve call recordings of this employee and analyze the audio. By doing this, you can develop a much better understanding of what the employee did wrong and fix it as soon as possible. 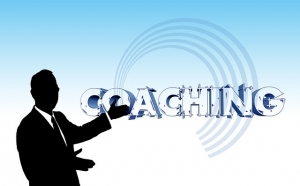 As a result of our first point, third party call center QA also allows you to provide insightful feedback to your employees during coaching sessions. By identifying and developing a comprehensive understanding of the area of struggle an agent has, you and your third party team member can provide thorough feedback on how to improve upon their issues. By having these intimate conversations with your employees, you’ll also develop better relationships with them. After all, it’s nice for the employee to feel treated like an actual person rather than someone who can be discarded easily. Lastly, a third party call center QA team can help you set achievable goals with the information that you gather. After going through all of your company’s and employee’s statistics, a quality assurance member will sit down with you and come up with an action plan that addresses certain areas of the customer service experience. From there, you can monitor how well these goals are being achieved. If you’re a business owner from Scottsdale and Phoenix, Arizona or anywhere in the United States, then you should look into the third party call center QA services provided by Sage Advantage. With extensive experience in the field, Sage Advantage will work with you in order to improve upon your customer service experience. Also check out Evaluate Quality, founded by Sage Advantage. As a result, your number of returning customers will flourish and your sales will reach new heights! Contact Sage Advantage today!